Uplighting has recently become one of our hottest requests, and it’s easy to see why! 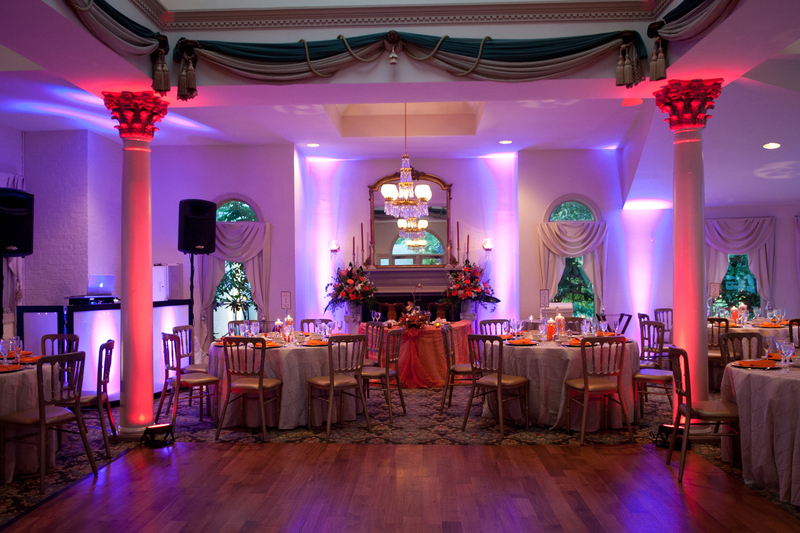 Proper uplighting can dramatically transform any space! 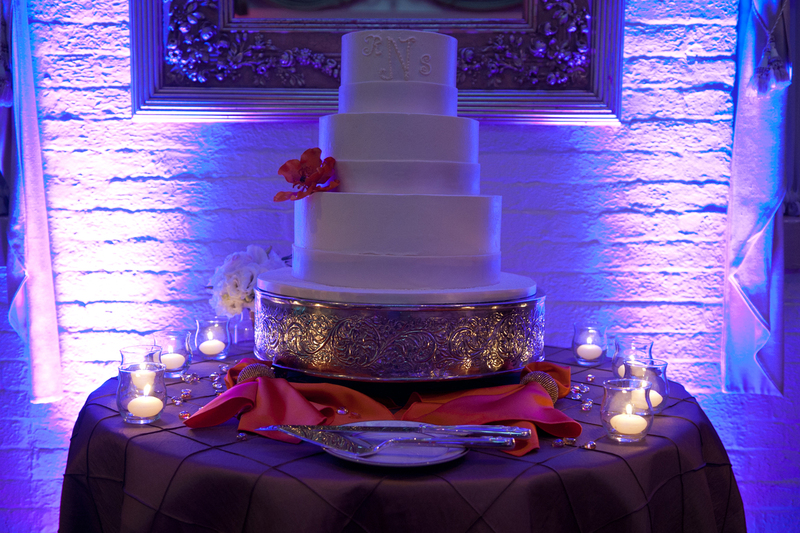 We use all LED uplights, so we can pretty much match any color you choose on the spot! Match the colors of your table linens, centerpieces, bridesmaid dresses…the list goes on! Plus, our LED lights do not get hot like traditional halogens with gels, so you won’t have to worry about curious little ones getting too close. Also, since our LED technology doesn’t require much power, we can place them anywhere, with no worries of possibly overloading a circuit or blowing a breaker! Ask us about our completely wireless option as well!